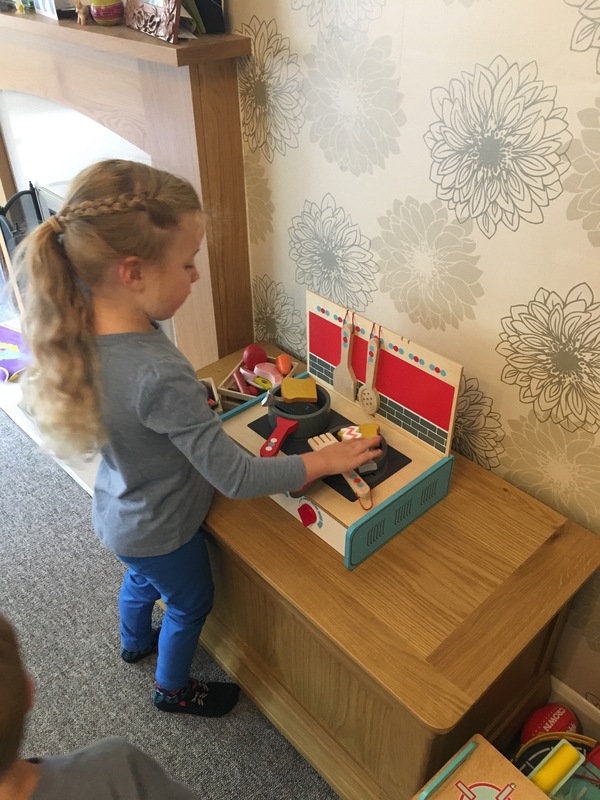 One of our all time favourite toys is our wooden shop and the Bigjigs Portable Cooker is the perfect addition to our role-play corner. I’ve been looking into buying a small kitchen to go with our shop for a long time but I couldn’t find exactly what I was after. 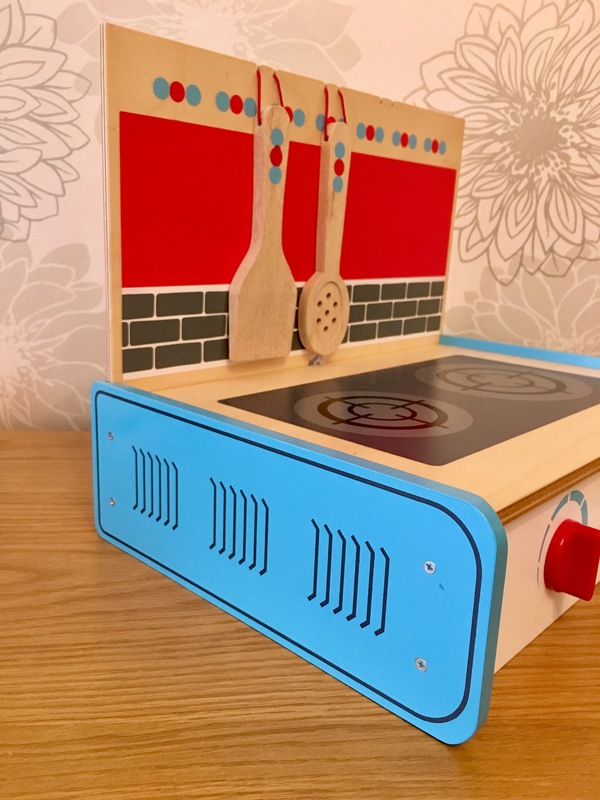 When Bigjigs sent through this Portable Cooker, it was the perfect compromise and I the kids couldn’t have been happier. They were now able to add a completely new element to their role-playing fun. 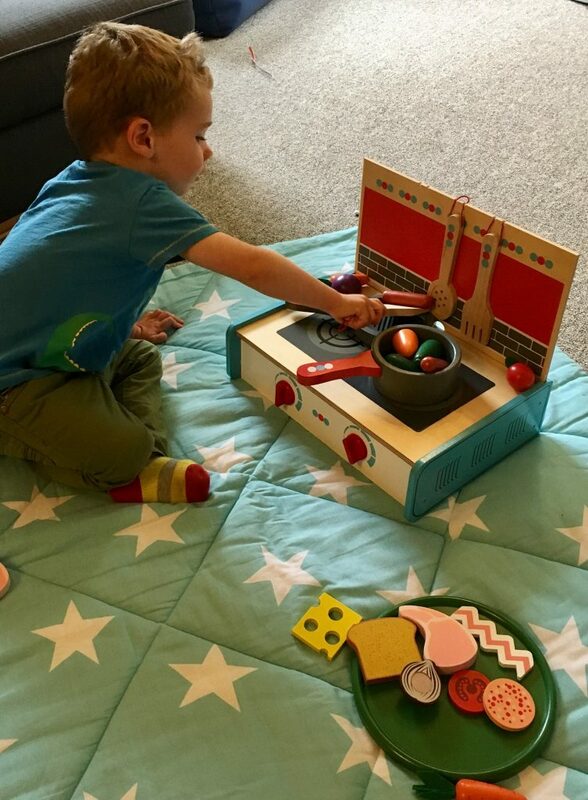 The Portable Cooker is well built and sturdy enough to handle even the most enthusiastic 2-year-old chef. 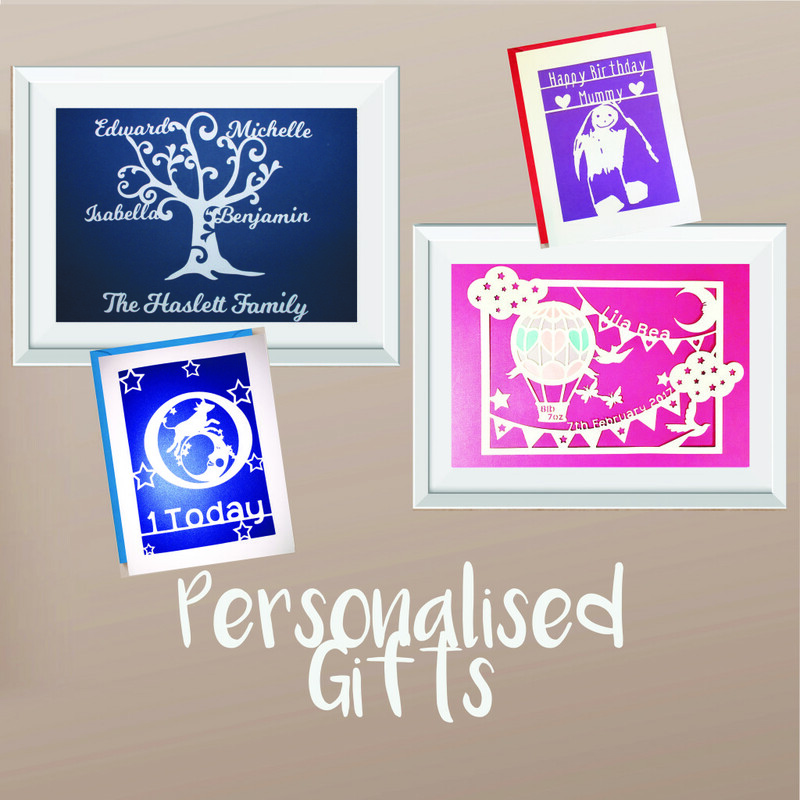 It is easy to assemble and can easily be folded into a compact size for storage or to take to the grandparents’ house. 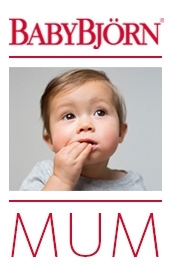 The carry handle means that they children can even carry it themselves. 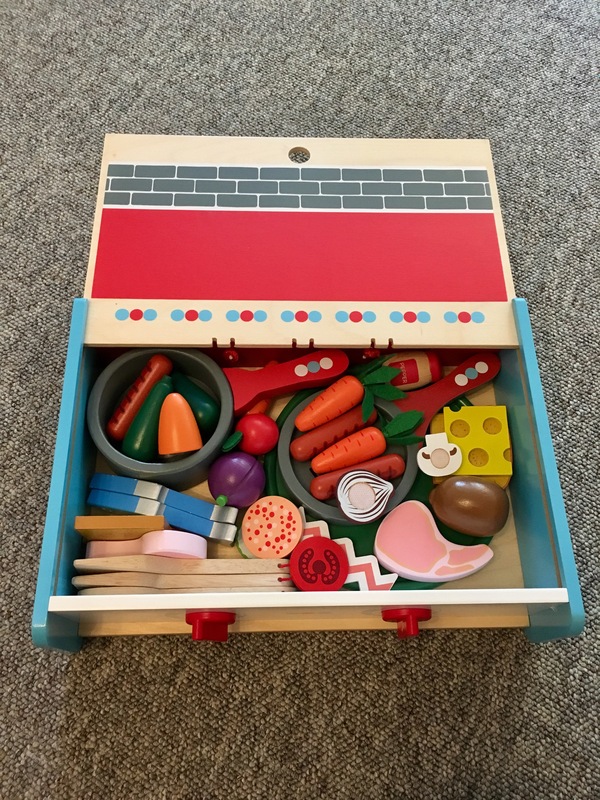 Cleverly, this compact unit comes with three wooden utensils and two wooden pans; the best part though is that there is still enough storage room to add your own play food to take along too. 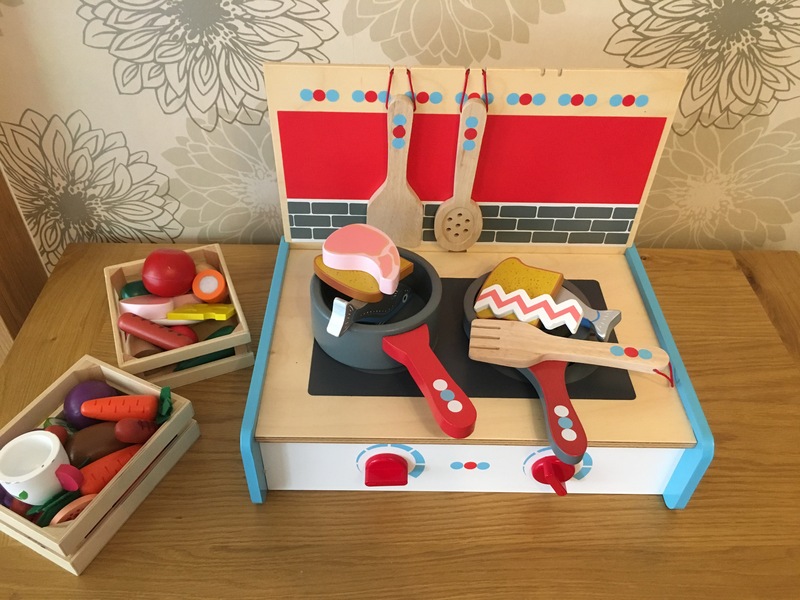 I love how the design isn’t gender specific – both boys and girls like cooking and it’s refreshing to see items that aren’t just pink. 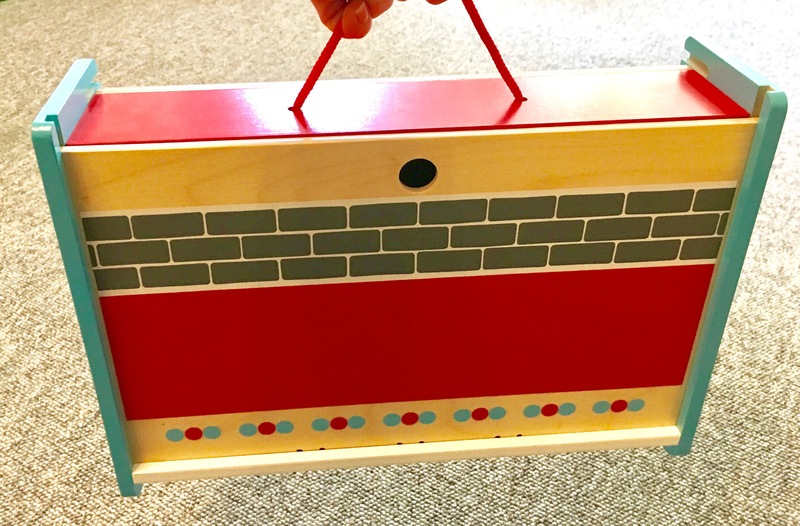 As well as being gender neutral, it also has air vents painted on the side as well as spashback tiles. Even the cooker knobs click as they turn to add to the fun. 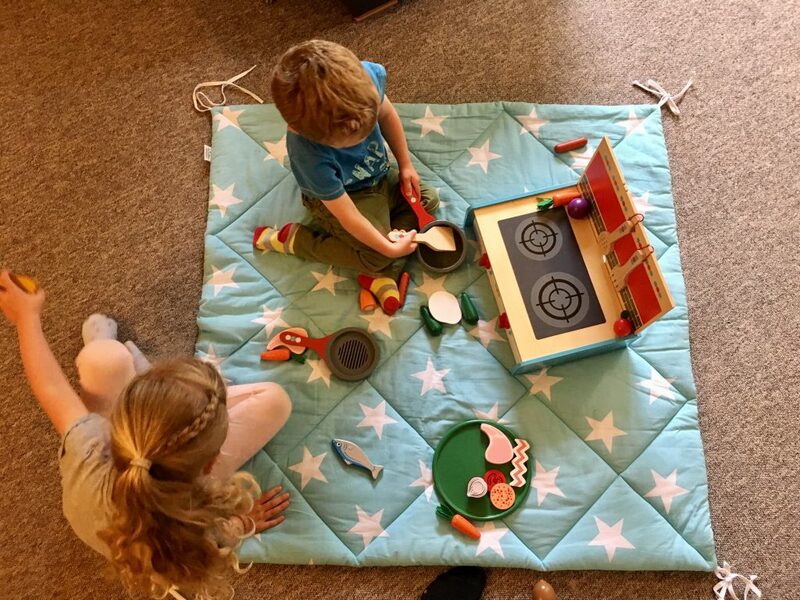 Both Isabella and Benjamin create their own masterpieces for us to ‘eat’ for dinner or a spontaneous picnic- we are always served up delicious combinations. Benjamin finds the process of imitation incredibly engaging. He will play chef and watch what I’m cooking whilst trying to recreate this in his own play. He also loves to use the pots and utensils to create a lot of noise music. Isabella on the other hand much prefers to create her own stories and role-play scenarios. 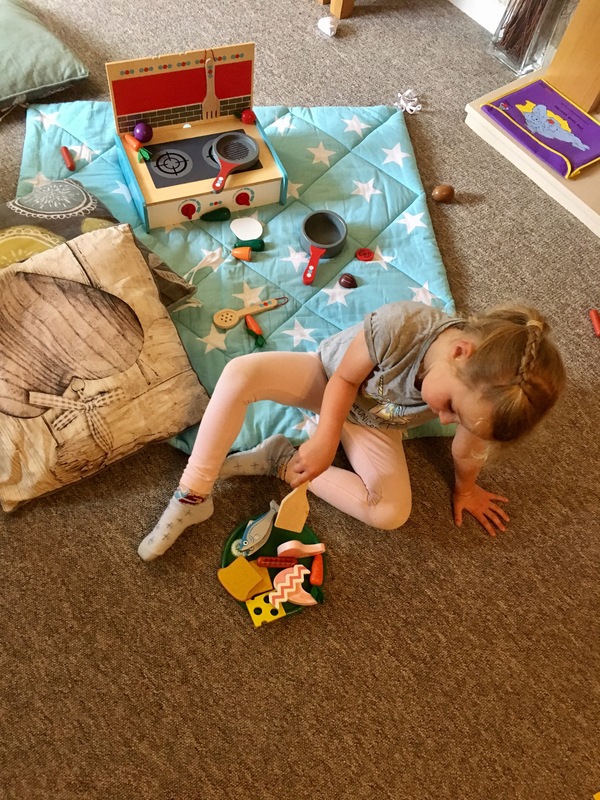 Playing mums and dads or sisters has become part of our daily routine. As soon as Isabella gets home from school, she automatically goes into her shop and begins to direct all of us in our roles. Benjamin is obviously always the little brother and Isabella will play mum meaning the role of little sister is all mine. While playing, the Portable Cooker is used to cook us all our dinner but there are also times when one of us becomes ‘unwell’. The cooker is then used to create concoctions of medicines and teas to make us feel better. 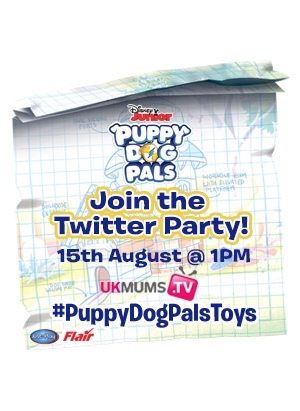 All in all, this is a great purchase and will serve your little ones well in their play.